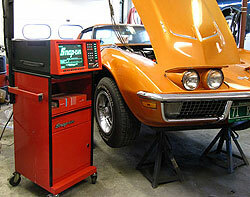 Mill Brook Imports is THE place to go for auto repair and maintenance. 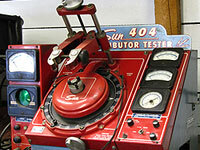 We offer economical and timely repair and maintenance with state of the art tools and equipment. 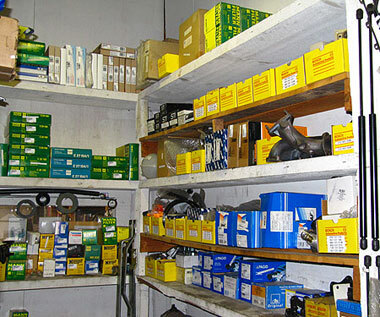 We have specialty tools and systems that allow us to provide dealer-level service on Audi, Volkswagen, European and vintage automobiles. For example, view more information about our Siemens VAS5052 diagnostic system, our EHP System V tire changer, our BFH 1000 tire and wheel diagnostics and balancing station and our Nitrofill™ tire inflation system. 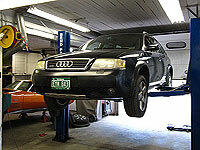 We also have quality, used Audi and Volkswagen automobiles for sale and automobile restoration services. Please call or stop by so we can discuss in detail your needs and how we can provide timely, cost-effective work that will insure the maximum life and dependability of your vehicles and equipment. 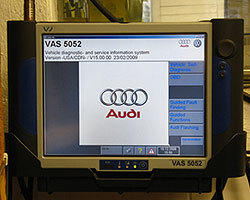 The Siemens VAS5052 system and software Is used to test, configure and reprogram VWs and AUDIs. In addition to VWs and AUDIs, we repair other European models including Porsche, Ferrari, BMW, Mercedes Benz, Rolls Royce, Jaguar, and Alfa Romeo. "Jim is the #1 Audi repair person. He's fantastic. Few people know what they're doing like Jim does."